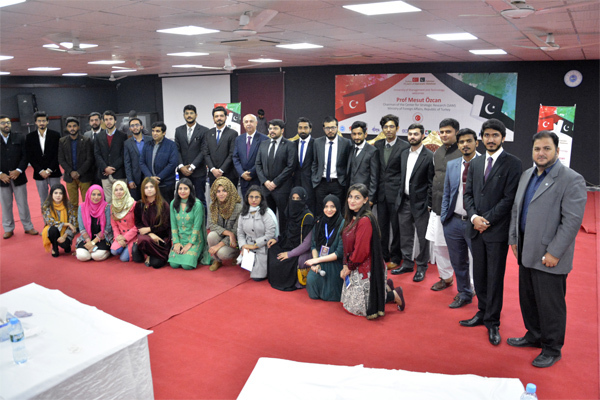 Prof Mesut Ozcan, Chairman, Center of Strategic Research (SAM), Ministry of Foreign Affairs, Republic of Turkey visited the UMT Campus to celebrate Turkey-Pakistan 70 years of diplomatic relations on November 28, 2017. 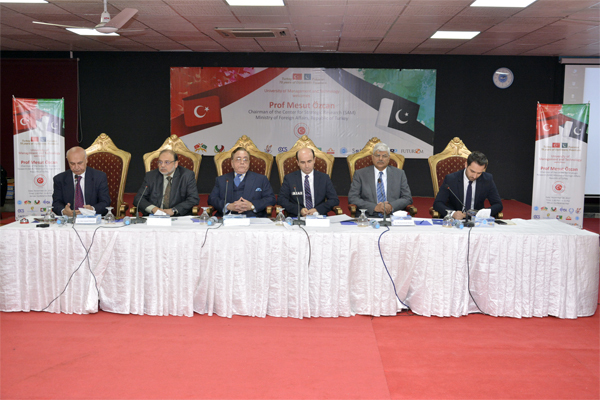 Speaking on the occasion, he expressed his views at a seminar as part of a series of events to celebrate 70 years of Pakistan-Turkey diplomatic relations under newly established Pak-Turk Studies Center at UMT. He said that Turkey is contributing to the development of Pakistan through a number of initiatives and projects undertaken by Turkish companies in Pakistan. Emphasizing the importance of education, he saidthat the role of modern universities in imparting quality education for development was crucial and an economy without education could not get a boost. 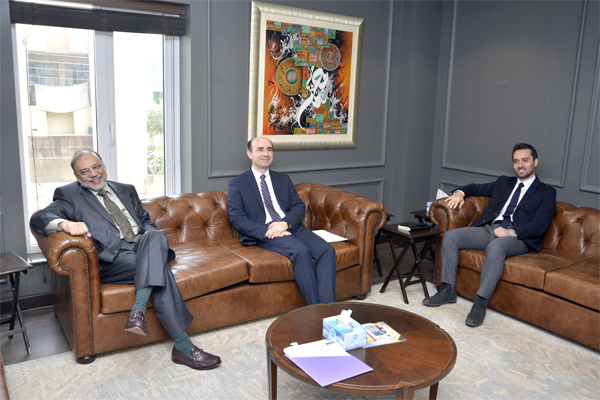 He appreciated Dr Hasan Sohaib Murad for taking a lead in setting up Pakistan’s first Pak-Turk Studies Center at UMT which would act as a platform to conduct public policy research in social, economic, and political landscape of both the countries. He saidthat through this Center, scholarships to Pakistani students would be given to pursue further studies in Turkey. 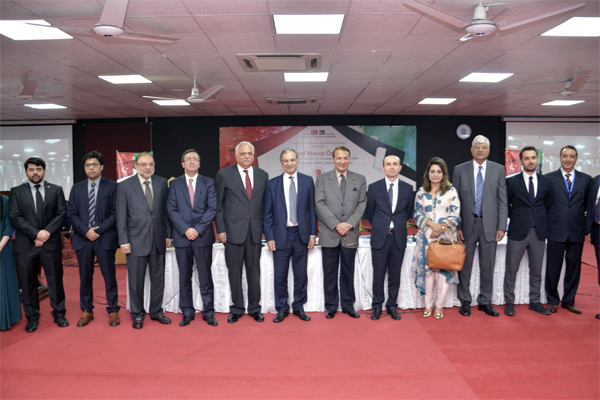 Khurshid Mahmood Kasuri, Former Foreign Minister of Pakistan, presided over the event. Speaking on the occasion, Khurshid Kasuri said that Turkey had supported Pakistan in trying times and it was continuously contributing to the development of the country and its prosperity. He said that just like Turkey, Pakistan too needed a brave and competent leadership in order to root out political and economic crisis including the issue of terrorism. 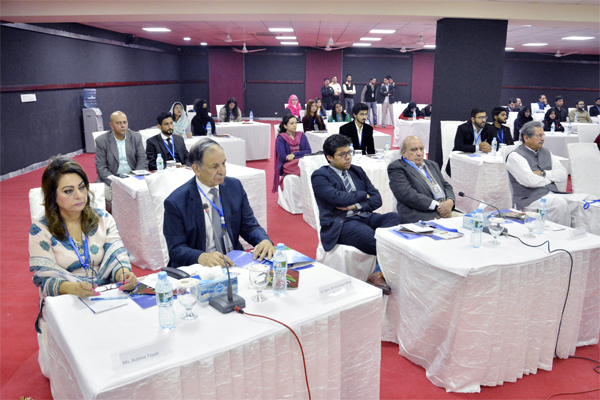 Other attendees included Dr Hasan Sohaib Murad, Chairman, ILM Trust, Dr Muhammad Aslam, Rector UMT, while Lt-Gen ® Humayun Khan Bangash, Lieutenant General Waheed Arshad, Major General Tariq Masood, Shamshad Ahmad Khan, Dr Salman Shah, I A Rehman, Shafqat Mehmood, Ms Rubina Tayab, and Muhammad Haroon Shaukat spoke on the subject. The event was graced by the presence of Dr Hasan Sohaib Murad, Chairman, ILM Trust, Dr Muhammad Aslam, Rector UMT, and high ranking officials. The event was concluded with exchange of souvenirs and group photographs.